so you decided to switch from irssi to weechat? what options do you need to set? what plugins? what scripts? i'll go over some of the most essential of these, and share my full configs. i just got back from a 10-day backpacking trip to italy and i'd like to share some of the photos i took! 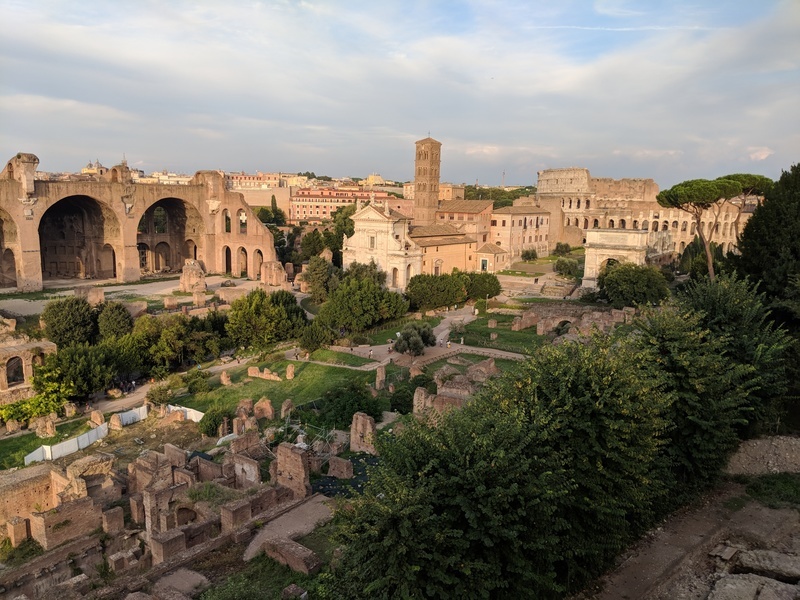 this is the roman forum (with colosseum in the background) as seen from the palatine. i somehow stumbled upon utterances today at lunch. (i think someone had it forked on their github page). no matter how i found it, i still decided to add it to my blog here with bashblog. utterances is a commenting system that leverages github issues. so, for example a comment on a post shows up on github like this. now we just need to figure out if it can be pointed at a gitea instance like tildegit. might be time for a PR! not sure if this is appropriately tagged, but i didn't feel like making a new one. i figured i should probably get some notes down about moving off google. automated certbot validation for letsencrypt wildcard certs!! no more manual TXT records every three months!